We are proud to launch new furniture by David Ericsson, Färg & Blanche and Matti Klenell at the Stockholm Furniture & Light Fair 5 ‒ 9 February. Nina Jobs and Pierre Sindre have created a stand that displays cultivated quality and considered use of resources. Welcome to stand A07:20! Designers Nina Jobs and Pierre Sindre will together design the Gärsnäs stand at the 2019 Stockholm Furniture Fair. Both are very familiar with the company and have designed a number of classics for Gärsnäs over the years. 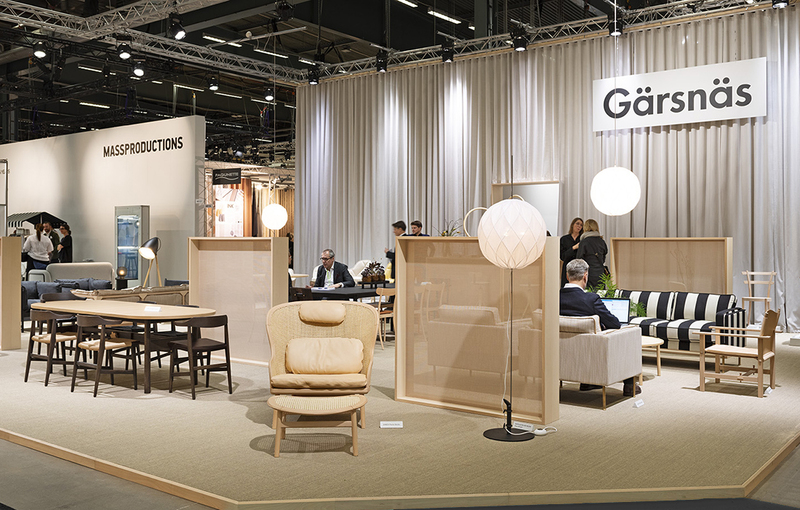 Their focus will be on highlighting the authenticity, craftsmanship and sustainability of Gärsnäs, as well as ensuring that all material for the stand is reused or recycled. The best use of resources and careful thinking about sustainability are the leading principles of next year’s furniture designs. Working on Hedda, David Ericsson was inspired by classical Chinese chairs and the Greek klismos chair. In Nordic style, the forms have been reduced and scaled down. Fastidious details are a feature of the design. Hedda is available with a seat of leather from Tärnsjö tannery or handwoven twine. It can be pushed in under a table or hung off the tabletop, making it just as good at home in the kitchen as an exclusive bistro. The Emma easy chair and Emily armchair are now joined by Elin and Lina. Built on the same basis and technique, they complement the family with different styles. Emily is the big sister, a comfortable chair that works just as well at a dining table as a conference table. Elin has a higher back and a more modern cut. Even Lina has a high back, but with rounded shapes. Emily, Elin and Lina work well together and also separately. Matti Klenell’s extension table, Ateljé, of stained and lacquered beech, was designed for Nationalmuseum’s new restaurant that opened in the autumn. 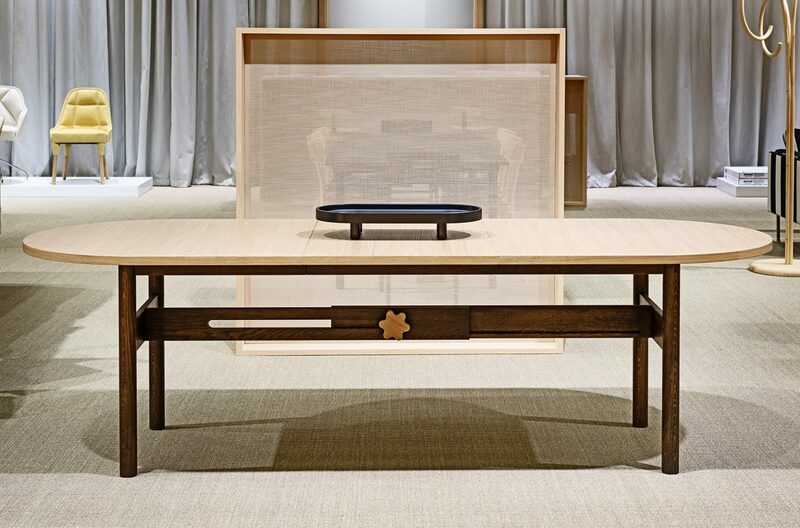 The table is inspired by artists’ studios of the past and Leonardo da Vinci’s old models. With a cog-like knob adorning the robust beam underneath and accompanying extension plates, the table can change size for various sittings. Together with the rounded ends, up to 10 people can be seated at the same time. The round shape recurs in the accompanying tray used for serving or as a table plateau.